Hippolyte Dreyfus-Barney was the first French Bahá’í and was appointed by Shoghi Effendi as one of the 19 Disciples of ‘‘Abdu’l-Bahá. He earned his doctorate in law in February 1898 and became the first French Bahá’í in 1901. In 1903 he gave up his legal career to devote himself to oriental studies. He enrolled at the École pratique des hautes études university in Paris, where he studied Arabic and Persian to be able to translate the Bahá’í writings into French. He was one of the only Western Bahá’ís of his generation to receive such formal training. He was the author of numerous books, articles and translations of the Bahá’í faith. 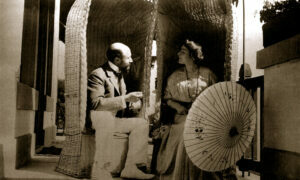 After his marriage (1911) with the American Bahá’í Laura Clifford Barney, he adopted the name Dreyfus-Barney. He also traveled to numerous countries and represented the Bahá’ís in legal disputes. He died on 20 December 1928 and was buried in the Montmartre Cemetery in Paris. Words, the Epistle to the Son of the Wolf, the Sura of the Temple (right and preaching), Ishráqat (The glory) Lawḥ-i-Aqdas, Lawḥ-i-Hikmat (plate of wisdom), Tajalliyát (the radiance), Tarázát (The jewelry), Words of Paradise. The translations were published individually or in the anthologies “Les Precepts Béhaïsme” or “L’oeuvre de Baha’u’llah”. Dreyfus-Barney also translated the Kitab-i-Aqdas and the Will and Testament of ‘Abdu’l-Bahá, which were not yet published. Dreyfus-Barney also published an introductory work on the Bahá’í faith, entitled “Essai sur le Béhaïsme” and various articles and lectures and conference reports. His lecture at the university with the title “Le babisme et le béhaïsme” was released in German. Dreyfus-Barney translated, together with Laura Clifford Barney, the Persian transcripts of ‘Abdu’l-Bahá’s answers to their philosophical and theological questions. The translation was published under the title “Les Leçons de Saint-Jean-d’Acre” (later, Some Answered Questions). Dreyfus-Barney also accompanied and interpreted for ‘Abdu’l-Bahá during his travels through Europe. 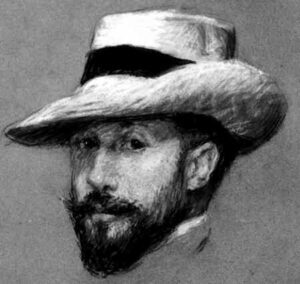 Dreyfus-Barney attained in September 1902 with an American Bahá’í Lua Getsinger an audience with Muzaffar al-Din Shah in Paris. During this meeting the Shah was personally handed a petition to protect their co-religionists in Iran. In 1914 Hippolyte and Laura Dreyfus-Barney visited the German colony of Qingdao, China, wanting to go on to travel up the Yangzi river (and overland) to Kunming, Yunnan Province. However due to the first world war breaking out (in 1914) they returned to Europe, escaping from Qingdao thanks to Hippolyte’s adroitness. They got away from the German colony and returned to France in time for him to assume his military obligations. In the twenties, Baha’u’llah‘s house in Baghdad fell into the hands of fanatical opponents of the Bahá’í Faith. Dreyfus Barney fought for this issue which concluded with the League Council condemning the occupation of the house. In Tunisia, he defended the Faith against the French administration. Dreyfus-Barney intervened around 1925 when a religious vocation Court in Egypt declared three marriages invalid because their spouses’ were Bahá’ís. Dreyfus-Barney visited most European countries, the United States, Canada, Cuba, Mexico, Algeria, Tunisia, Burma, China, India, Japan, Persia, and many times the Holy Land.